It was super hot, time to get out the short shorts and light sheer tops! 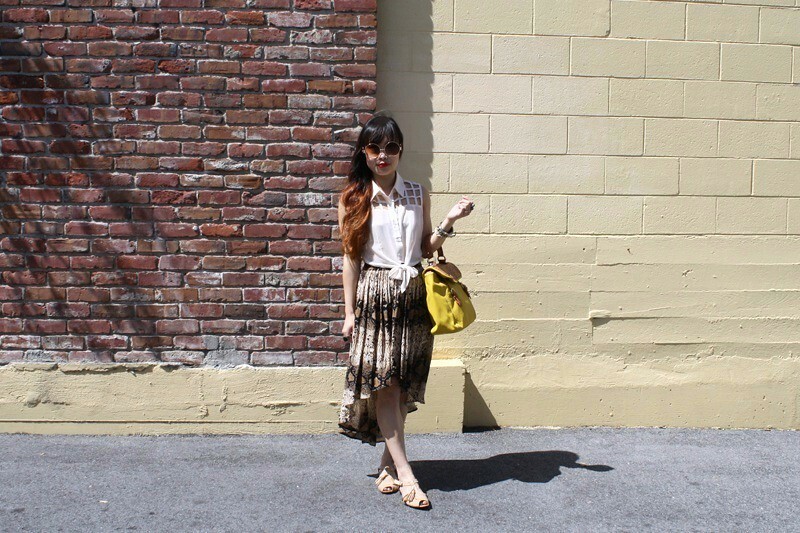 I adore this frilly and delicate chiffon top I bought on my last trip to Japan a few years back. 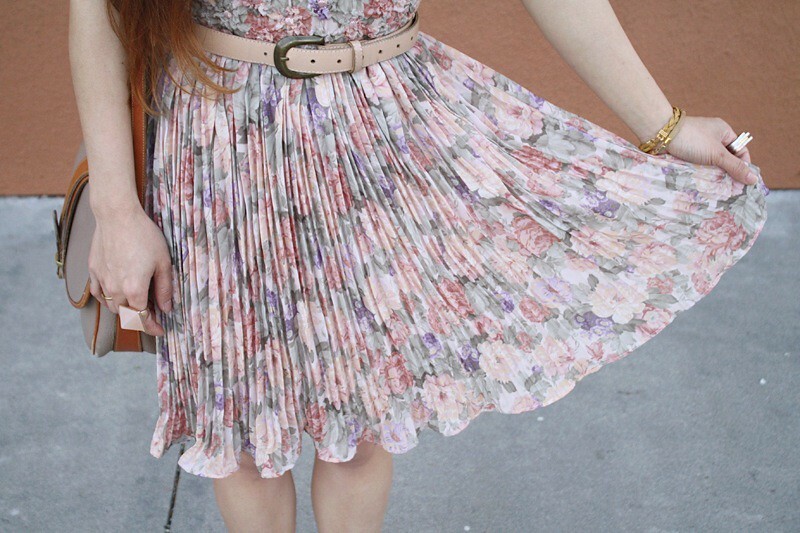 The floral details and ruffles are so pretty and airy. 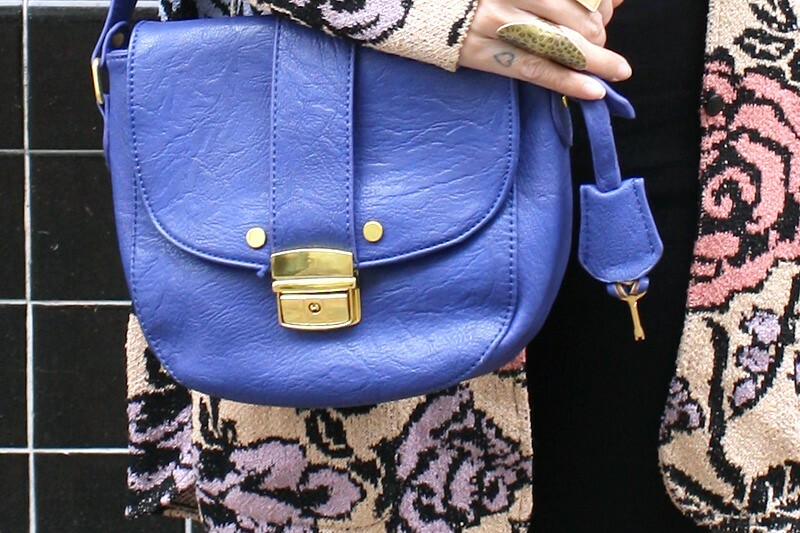 I wore it with a pair of high waisted denim shorts with cute heart shaped pockets on front and back, and then added the perfect amount of girliness with a floral satchel and crochet laced up heels. Let's hope this warm weather continue! 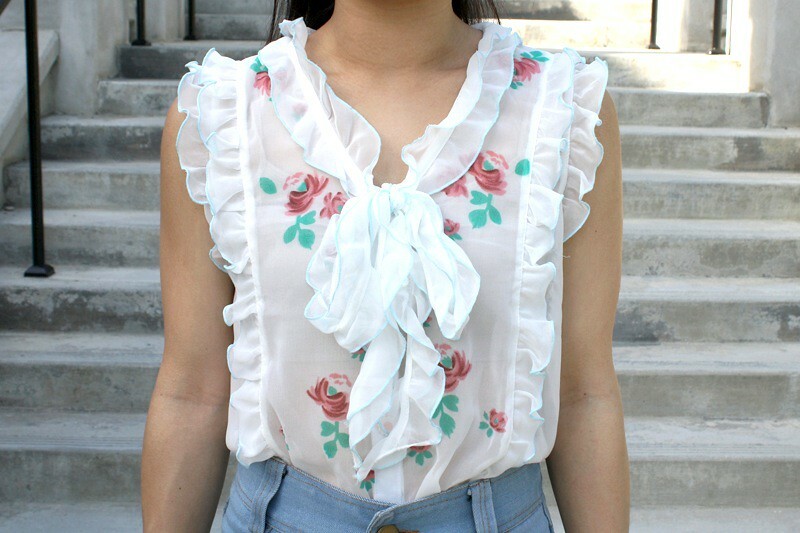 Floral ruffles chiffon top by Liz Lisa from Japan. 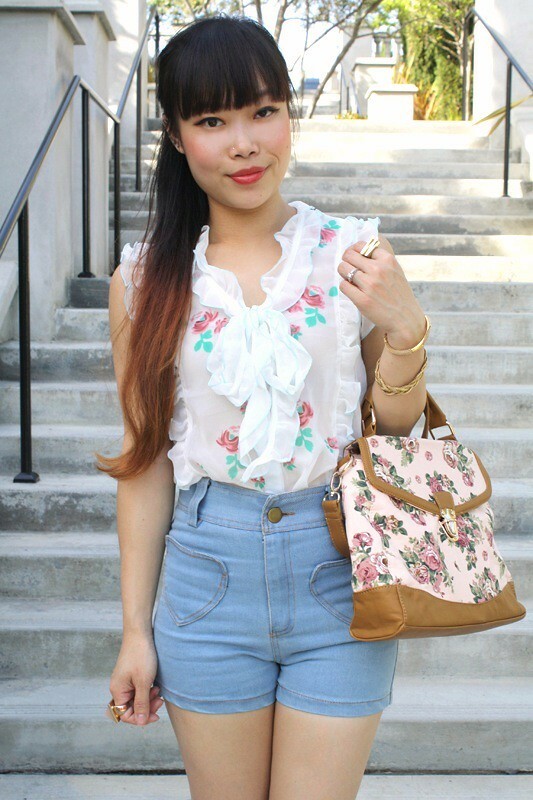 High waisted heart pockets denim shorts from Hong Kong. 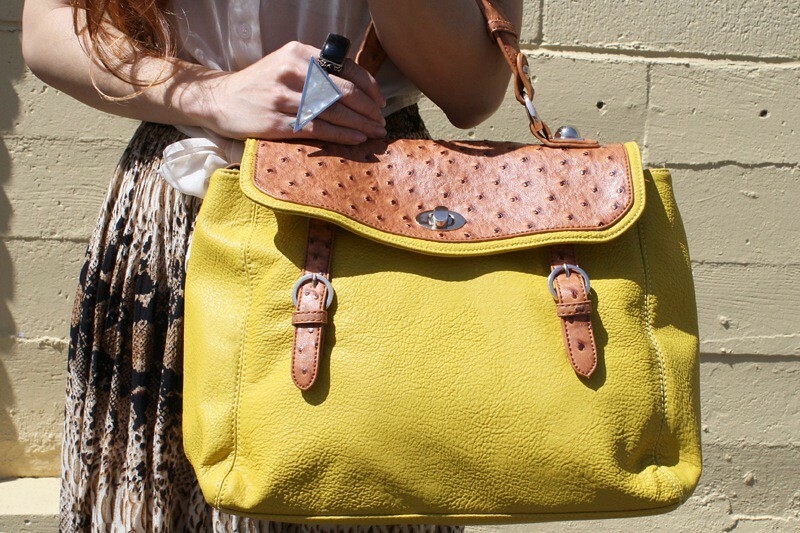 Leather trimmed floral satchel by Let Them Eat Cake from my work Sway. Crochet laced up heels by Mixx. This is like a pop art version of floral tapestry! Don't let your eyes play tricks on you... what looks to be a thick coat is really a super lightweight jacket! This vintage piece is made of a knit-like polyester material, thin and comfy. I believe it is actually a shirt but so oversized I am wearing it as a coat. I am not very fond of its collar which is small and unflattering so I added a vintage fur collar on top instead! 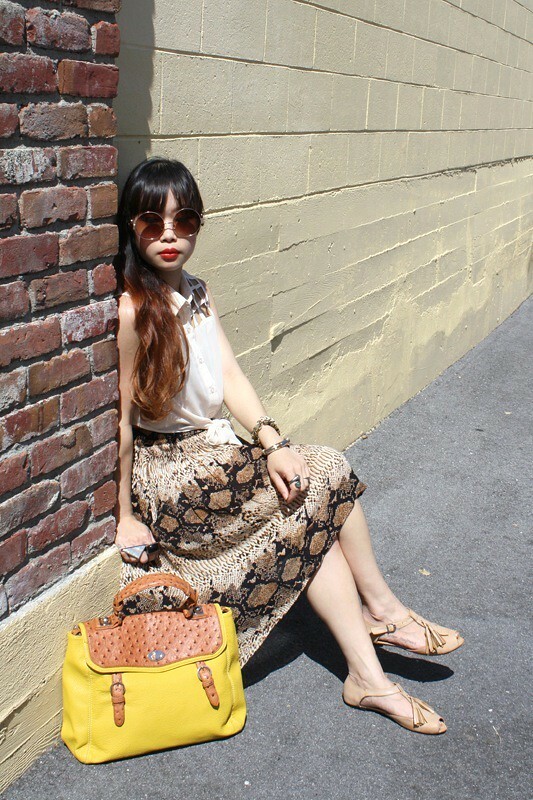 I am so drawn to the beautiful rose pattern and colors, and I wanted to accentuate that with colorful purse and shoes! 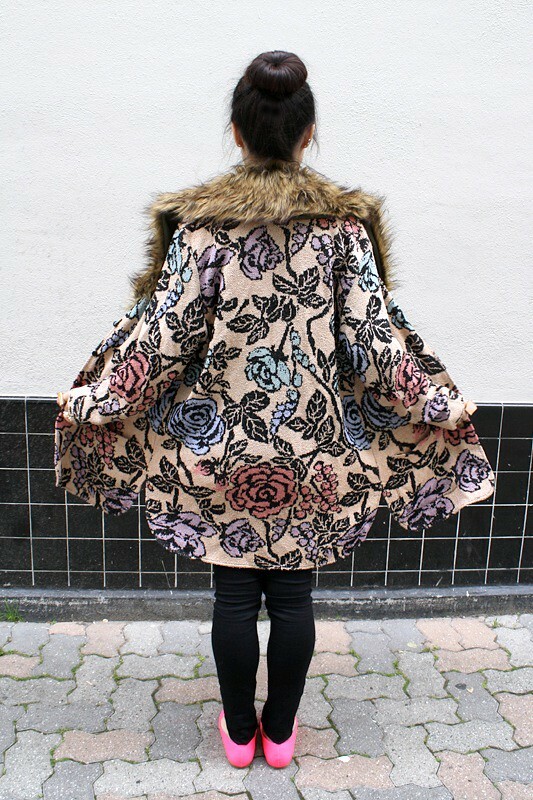 Vintage rose print jacket by French Rags from PGTN. Black high waisted skinny jeans by Just USA from my work Sway. Blue lock and key handbag from my work Sway. Neon pink flats by City Classified from my work Sway. Quick late afternoon post! Keeping this short and sweet because I am so exhausted from work! 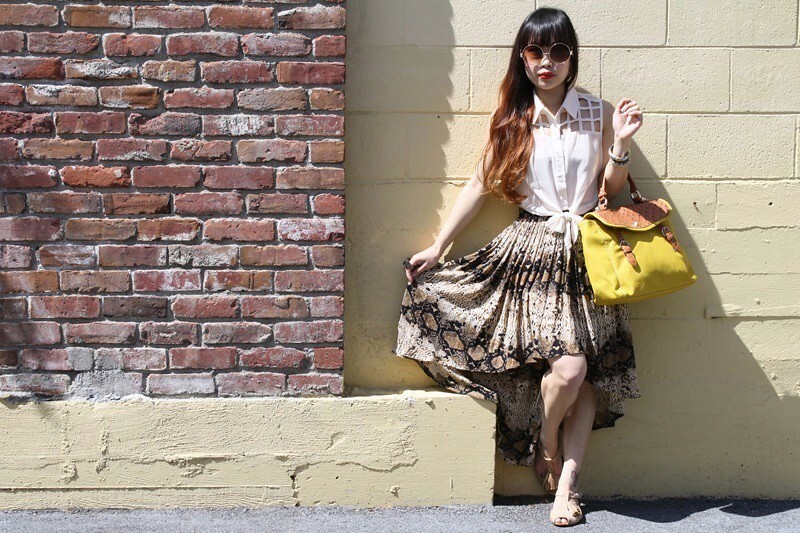 I am in love with this vintage skirt I just got last week! 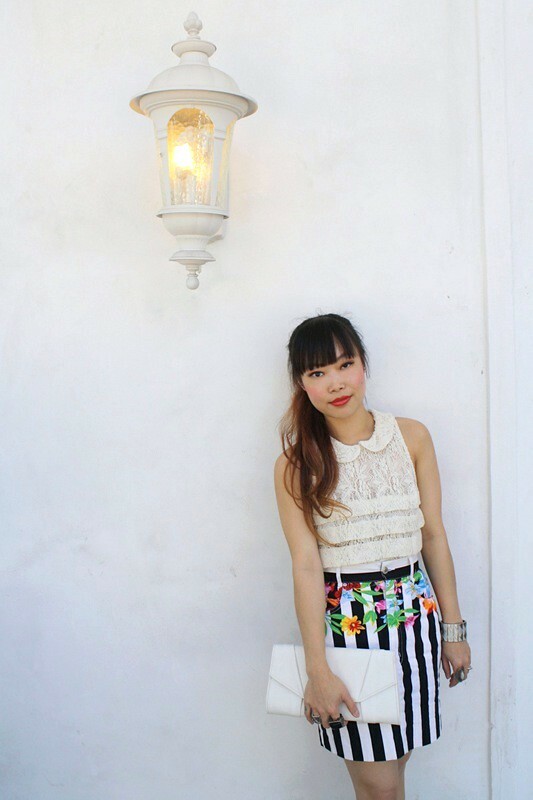 Black and white vertical stripes with colorful florals, high waisted and fits me perfectly! 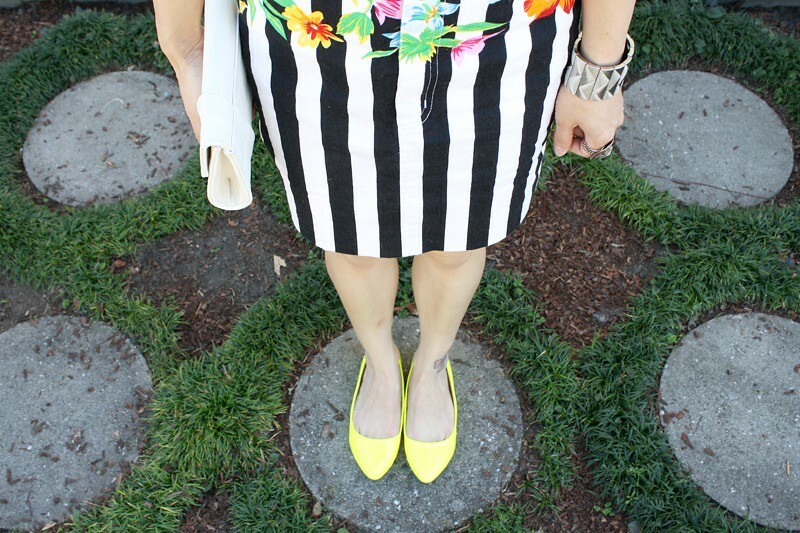 I paired it with an adorable peter pan collar lace top and some crazy bright neon flats! 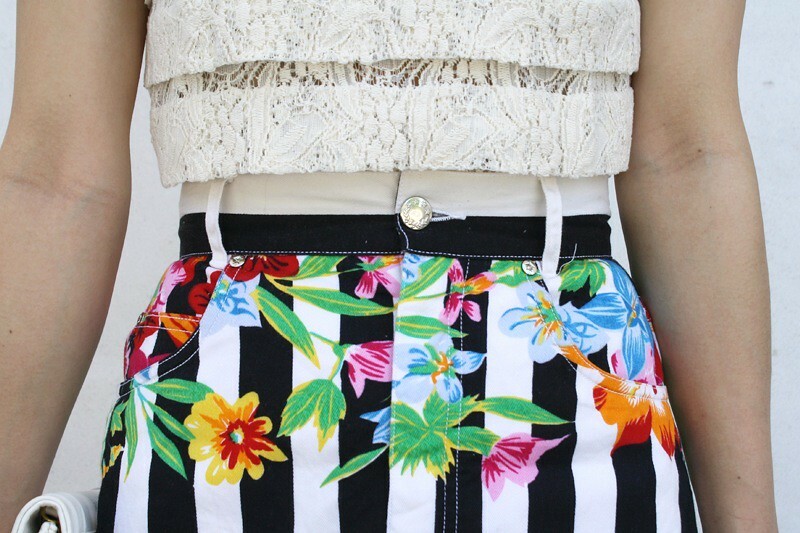 Vintage stripes and floral high waisted denim skirt by Mondi from Net of Wonder. 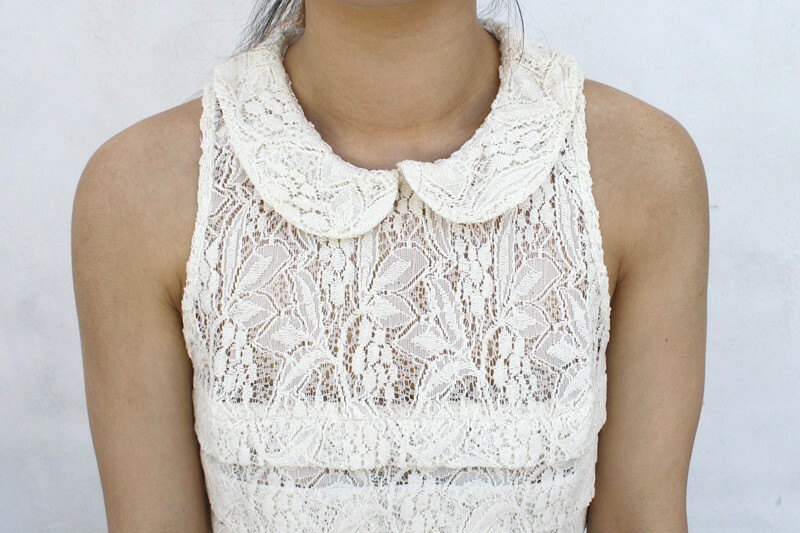 Peter pan collar lace top from F21. White clutch from my work Sway. Neon yellow flats from my work Sway. Sharing with you yet another vintage dress of mine. 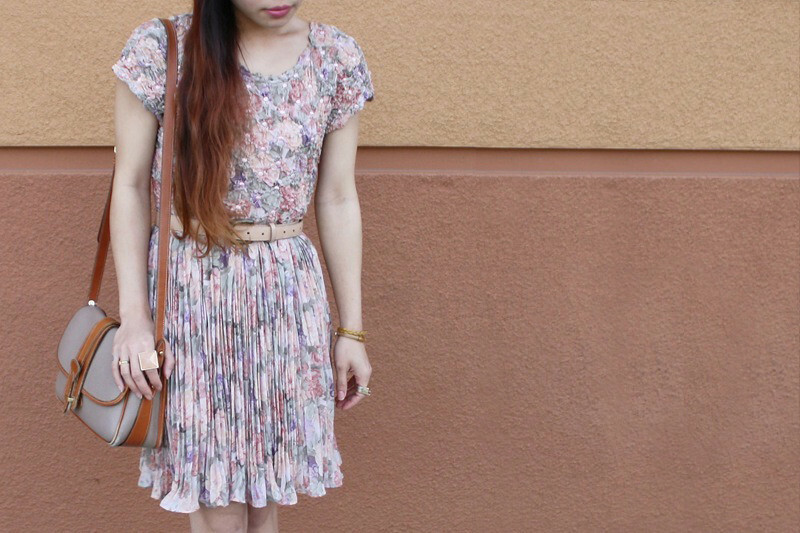 The pastel floral is darling and I love the two different kinds of textures it has going on. The top part is matelassé and the bottom is pleated. The best part about this dress, however, is the price. I got it for $4 at a thrift store a couple years back! FOUR DOLLARS! I couldn't believe my eyes! This lady was actually trying to take it out of my hands (shopping basket), and then tried to sweet talk me out of it. Nice try, lady! Oh this dress is so amazing it even traveled all over Italy with me last year! 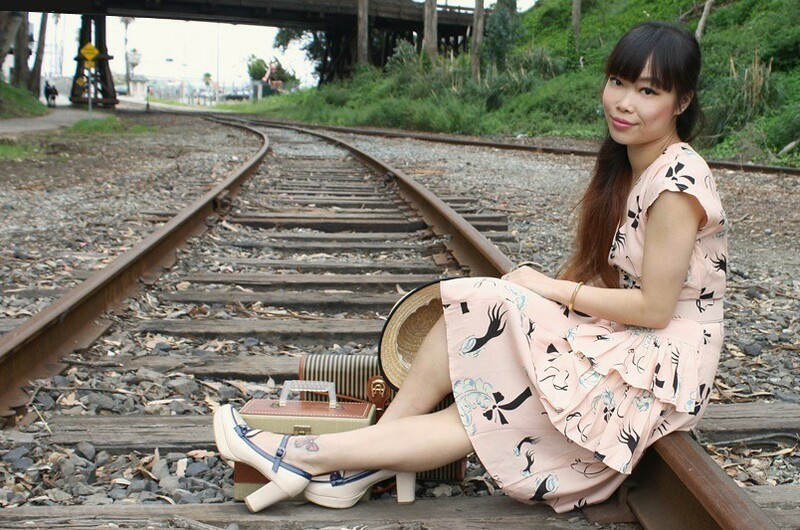 The perfect little vintage dress for all occasions! 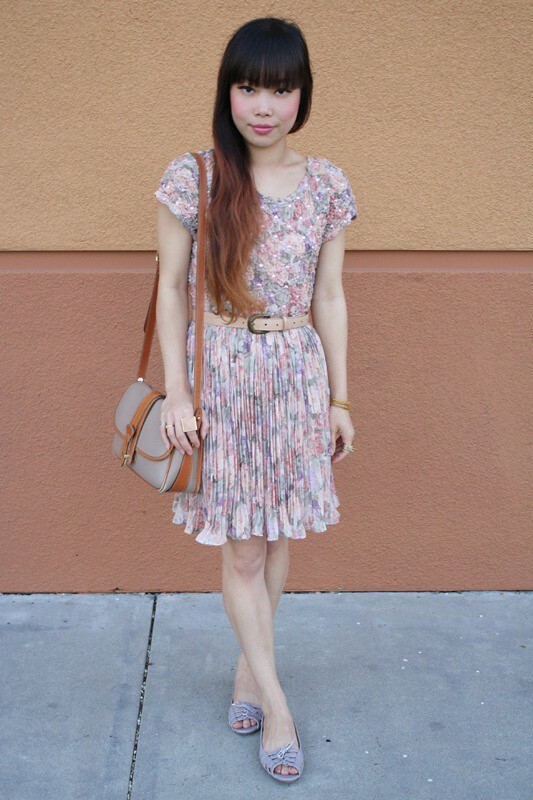 Thrifted vintage matelassé and pleated floral dress by Jeffrey & Dara by Linda Hutley. 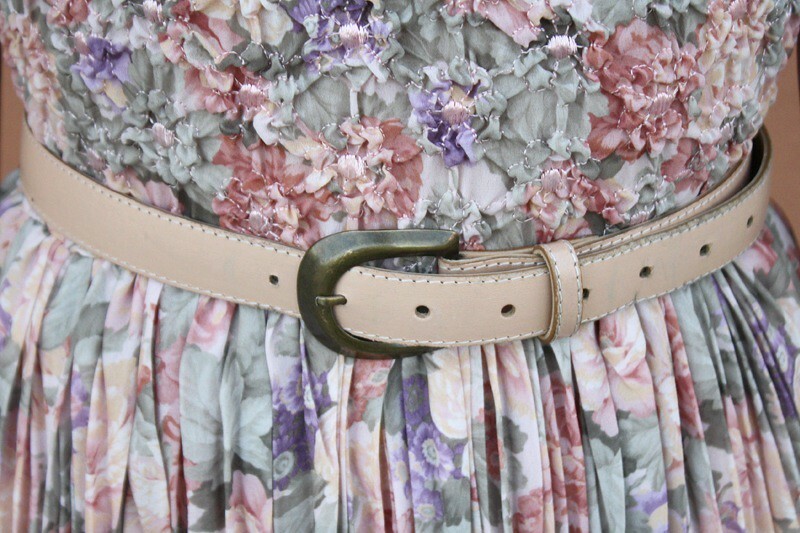 Thrifted vintage blush leather belts. Lavender woven flats by Miss Me from my work Sway.